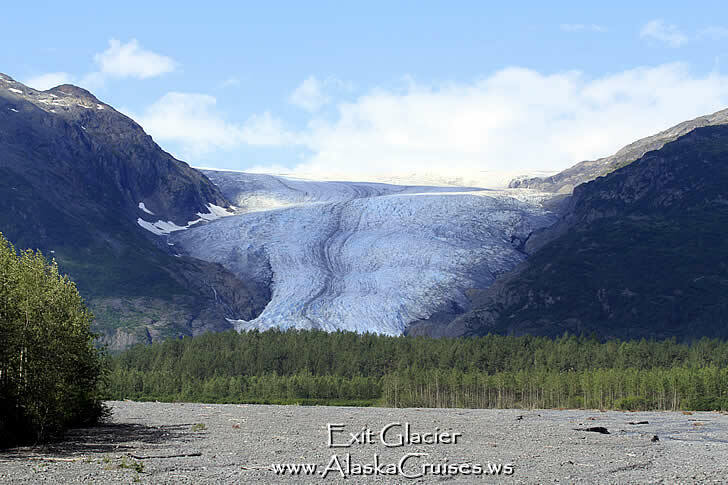 Both easy to reach and very affordable too, a short hike on the paved trails leads you to the base of the magnificent Exit Glacier about 7 miles out of Seward. Exit Glacier flows from the Harding Icefields high above Seward. 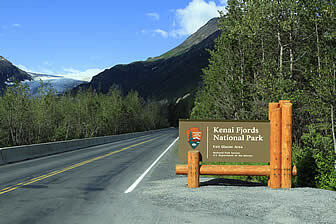 The glacier is within the Kenai Fjords National Park. The glacier is reached by driving out of Seward on Highway 1. At the edge of town, about 3 miles from the cruise dock, turn west off the highway onto Herman Leirer Road, commonly called "Exit Glacier Road," at mile 3 of the Seward Highway. Follow to the end of the road into the parking lot about 8.5 miles from the highway turnoff. From the parking lot you can follow the paved paths up close to the base of Exit Glacier. Here you will get a better feeling as to the immensity of the glacier and become awe-struck in the dense blue ice while listening to it snap and crackle with life. Exit Glacier Tours can be included in a number of the shore tours available for Seward from the travel offices onboard your ship.